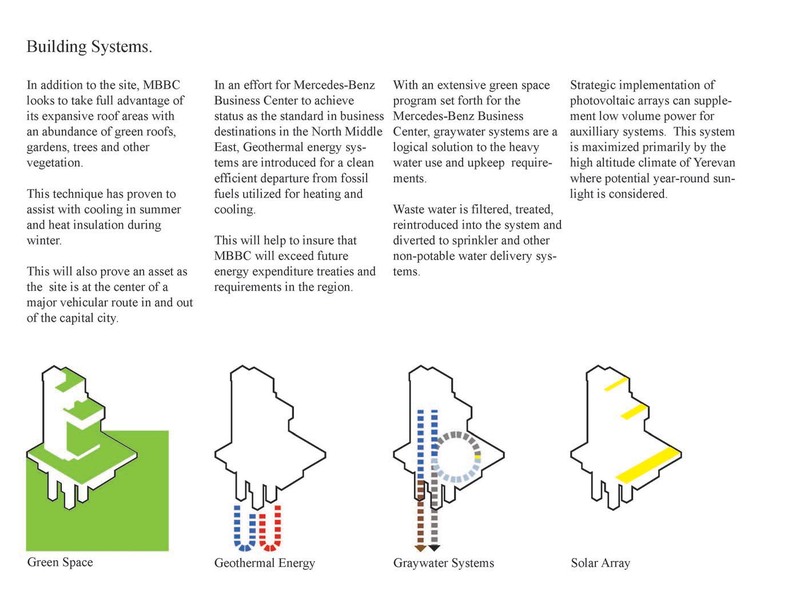 HTDSTUDIO competition entry for the Mercedes-Benz Business Center is less concerned with form-following-function as it is with form being functional. 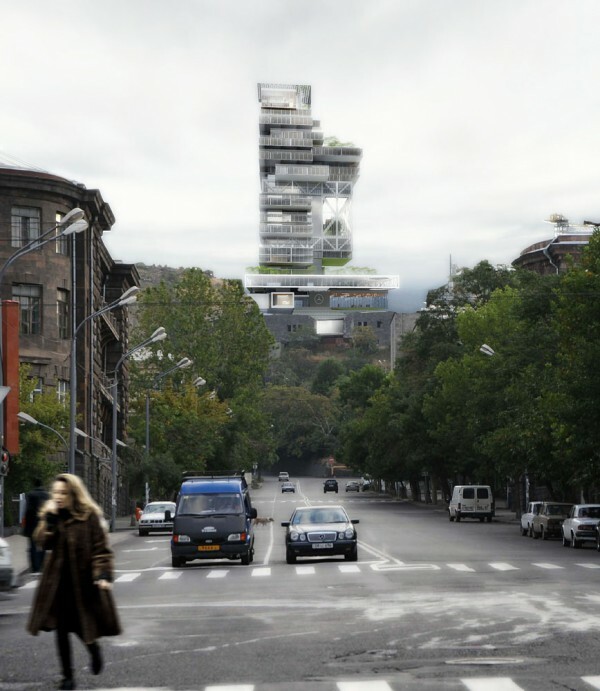 The tower sited in Yerevan, Armenia is hyper-rationally organized, with a layout synthesized from user-flow. The program ranging from hotel, apartment, and fitness center, to theater, restaurant, and conference room, require a reconsidering of the public-private relationship. This relationship is reinterpreted as an opportunity for inclusion opposed to separation. As a result, the functional activity is aligned along the exterior, with discreet separations occurring within the core. 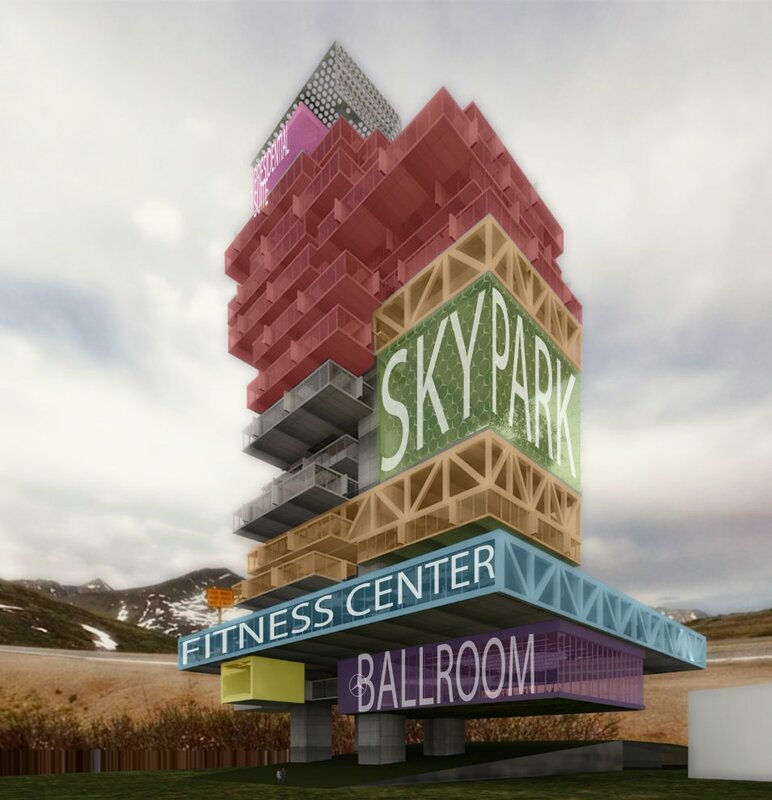 This new programmatic arrangement is projected to the façade, with the juxtaposing programs serving as cladding elements that animate the elevations with social exchange. The form is derived to enhance both site efficiency and seismic flexibility. Four main pylons lift the tower off the ground enabling an unfettered flow across the site. Program volumes are suspended from one another in an effort to anticipate and absorb seismic activity. 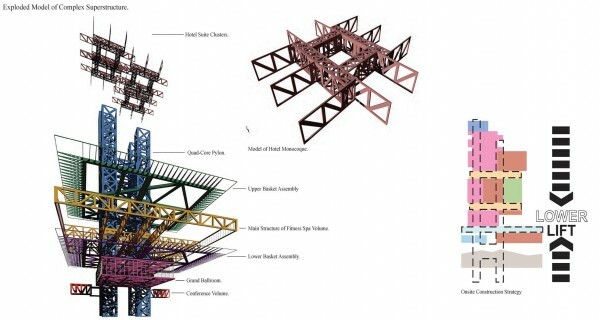 The quad-core superstructure along with a steel monocoque allow for the floors to be designed based on client desires opposed to structural needs. Hailed as a significant landmark and beacon of progress, the tower stitches together old and new, reusing the wall-base from the Yerevan Youth Center which previously occupied the site. The selected site allow for dramatic views of Yerevan and Mt. Ararat, enabling visitors to experience the city’s history from the frame of its future.